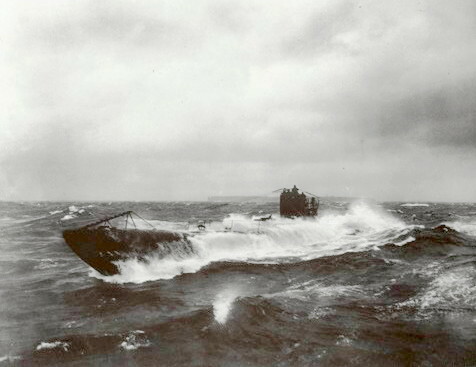 Submarine warfare 1917 - .PDF file. With the First World War entering its 34th month and — as a letter elsewhere in the issue points out — mobilisation of British troops still underway, the threat of German submarines was preying heavily on the public mind. U-boats seems to be an invisible, intangible weapon which could strike with impunity at absolutely no risk to themselves, and the public was becoming increasingly nervous that British military and merchant shipping would be unable to reach their targets, and that shops would run out of stocks. To allay these fears, the First Lord of the Admiralty, Sir Edward Carson, used a regular speech on the Navy’s estimates of enemy damage to point out that the Royal Navy was in fact very effective at countering U-boats, as The Engineer reported. U-boats were to prove fateful in the conflict later that month. On the 17th, three American merchant ships were sunk by German submarines. The US entered the war in April. Unless I am mistaken, one of the defensive measures available at the time, was to position a rowing boat alongside the U-boat periscope, have a sailor place a black-bag over the top and hit this with a hammer! Previous remarks about taking any official statement-that of Sir Edward Carson- with as much ‘salt’ as can be applied (traditionally the way to tart-up tainted meat!) apply. His descendants are still involved in the necessity of applying the same suspension of dis-belief necessary for all thinking persons when reviewing ‘official’ statements.